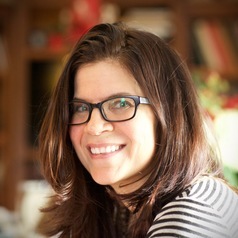 MELISSA FERGUSON (melissaferguson[at]cornell.edu) is an experimental social psychologist. She received her doctorate in social psychology from New York University in 2002 and then joined the psychology department at Cornell University. Her research focuses on the implicit and non-conscious cognitive processes that enable evaluation, goal-pursuit, self-control, and social behavior. Three recent topics of research in the lab are self-control (what predicts success? ), first impressions (how do they form, change, and influence behavior? ), and ideology (how do ideological symbols affect us?). Her research has appeared in outlets such as the Journal of Personality and Social Psychology, Psychological Science, Trends in Cognitive Sciences, Journal of Experimental Psychology: General, and the Proceedings of the National Academy of Sciences and her work has been funded by the National Science Foundation and the National Institutes of Health. She is also currently a Public Voices Fellow of The OpEd Project.